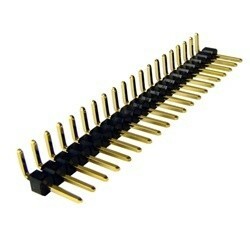 Very useful pin header for low profile applications where right angle pin headers are needed. It's often these little components that can make a big difference to the success of your project. These have never let me down, don't seem to oxidise or show any signs of wear.